They say a week is a long time in politics, but with fashion I would say the opposite is true and the week is in fact, blink of a Dior Show black liner clad eyelid short. 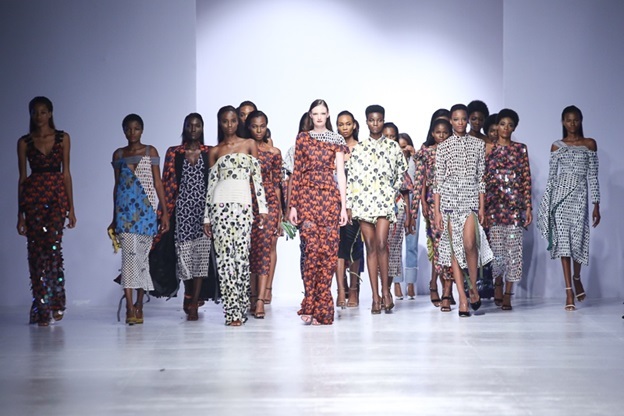 For a start, none of the fashion weeks be it the big 4 (New York, London, Milan and Paris) or anywhere else in the world, including our beloved city Lagos, last a full seven days. And there is the attention span factor; less than ten minutes on a runway for a designer to set out their vision for what they would like us to be wearing in the coming seasons and convince us, that yes this is truly the way to go and we need to start ordering pronto. And then there is the added factor of everyone, including their auntie with good network and a smartphone in the village, considering themselves an ‘expert’ and able to express such on social media adding another potent ingredient to the mix. The fact that a thumbs down or an emoji are considered sufficient deconstruction of what is on offer is worrying to say the least. As LFDW has grown, so have these factors of how it is perceived, received, and reviewed amplified. It’s a balancing act that the LFDW Leadership Team, fearlessly led by Omoyemi Akerele have had to, to use a Naija-ism ‘manage’. I feel like a bit of a veteran having attended the maiden edition and seen this incredible story unfold. And it took a while to properly process all these elements hence the delay in this overall review. As a card-carrying Christo, I will begin with the good, sing a Psalm in praise and downright inspiring collections first. Allow me at this point to sing an extended hymn of admiration to Bridget Awosika who showed on the power-designer-heavy-bring=your=game-face schedulle that was DAY 4. Queen of the conceptual that still remains oh-so-wearable, Bridget gave us racy the remix. Hemlines wavered from sexpot pelmet length to demure over the knee. The road motifs did not evoke the driving hell that is go-slow during rush hour but rather traffic stopper toot your horn hotness that every woman wants to be once in a while. Scrub that, most of the time. A fan of exploring the notion of seen and unseen in her pieces we saw her signature motifs such as sheer and opaque fabrics married. Also note-worthy was her continued exploration in creating the perfect lo-fi luxe trousers for a downtown Manhattan girl now residing in Lagos. This season’s iteration will definitely keep existing fans happy and new ones intrigued enough to seek out her studio in Lekki and go wild in the proverbial aisles. Keeping the palette restrained and black as the unifying accent of her collection created that magic combination of covetable and collectable. Another treat was the return of Lisa Folawiyo who closed the week with an expansion of her lauded presentation from New York fashion week. It is official, there is no need to be a member of the Balmain Army; in fact the buy local and join the fierce Lisa Lieutenants, setting the pace in the office, at parties and events. If the picture below isn’t ultimate #squadgoals worthy, I do not know what is. The gimmicks and gimmick creators, and there were many, need to be reviewed, and ideally told to cease and desist, especially as Lagos becomes the nexus for contemporary African design both on the content and internationally. We will only continue to garner respect and exert influence if we pair down the nonsense and focus on business which in this case is exqusite clothes. Yes, love is a beautiful thing, but isn’t a runway proposal as seen at the Johnson Johnson show, the stuff of reality television and not a designer seriously seeking to be stocked in Barney’s or Selfridges? Equally baffling to view was the bridal collection produced by Mai Atafo where the wedding theme was not so much spoon fed as ladelled thick with a trowel. String Quartet? Check. Flowers and topiary? Check. And of course, that seasonal must-have, the celeb wedding singer in this case Kaliné. Is this going to get Mai being spoken of in the same tones as menswear vanguard designers such as Ozwald Boateng or Paul Smith,? Sadly not. And this is a pity, especialy as Mai has positioned himself as the go-to red-carpet attire for many an African celebrity, just as Armani tuxedos have been the de facto choice of Oscar nominees for decades. Thank goodness that Kenneth Ize, while exploring unisex themes and throwing the rule book out in regard to proportions in his own collection, did not feel the need to flirt with the farcical, and focused on presenting his aesthetic vision without distracting elements on the runway. High point for me were chic gingham tunics to be worn by you and bae. His and hers just became a distinct possibility. The crossroads is real. 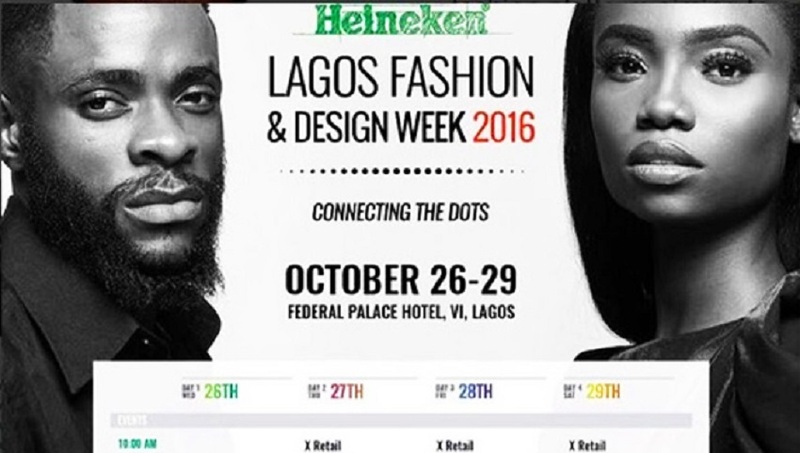 LFDW has survived and indeed thrived since its inception. It has more than conquered the challenge of convincing an audience beyond dedicated enthusiasts that fashion in Nigeria and Africa as a whole is an industry to be reckoned with. Not only that, many a designer star has been born on its runway and it has hosted designers and models who have gone on to blow-up domestically and internationally. But as with everything the sifting has begun. Some collections’ ideas were thin on the ground, still others seemed like fancier renderings of what one’s tailor in Obalende could quickly knock up. The collections that could pass muster anywhere in the world and not just as Local Champion-esque moments for the ‘gram were not as plentiful as one would like. But there are green shoots of consistency from both established players and new arrivals, more of whom MO will feature. It is for this reason I am encouraged, particularly by the teaching and coaching elements that were evident in the morning sessions and being championed by LFDW. 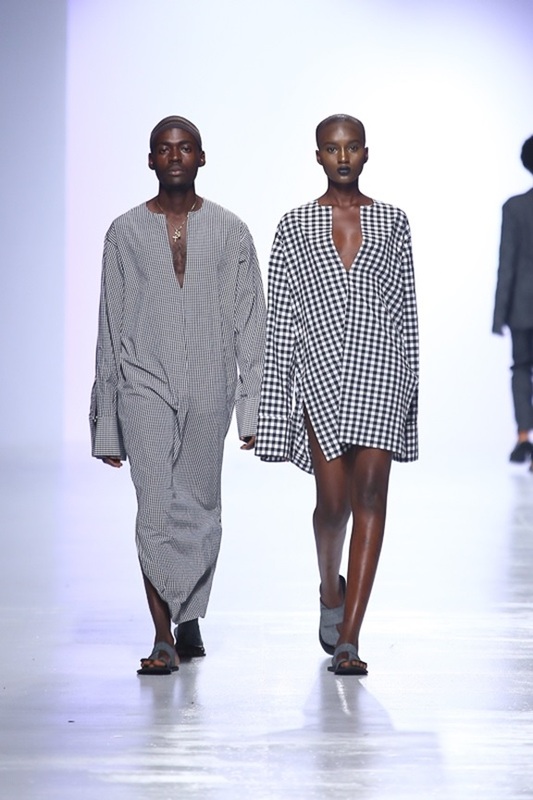 It is only through incubating talent, investing in the notion of pushing boundaries in terms of ideas in a committed manner, and instilling thinking creatively and behaving professionally as standard to all participants, that this undeniably flagship fashion week in Africa will mature into all that it can be.